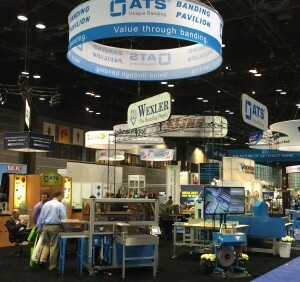 Wexler Packaging Products, Inc. will be returning to the Windy City this fall as a featured exhibitor at GRAPH EXPO 2015. The show will again take place at Chicago’s McCormick Place, September 13th – 16th. Located in Booth #3613, Wexler will exhibit along with Felins USA and ATS-Tanner Group. All three companies will be promoted together as part of the “ATS Banding Pavilion,” providing the Printing Industry with an easy and convenient way to view the widest range of packaging solutions in the marketplace.  During the four-day expo, Wexler will showcase post-press and bindery solutions for automatic banding and bundling. 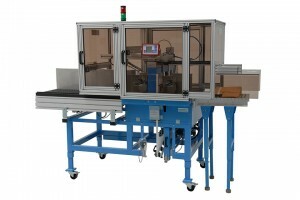 Featured equipment this year will include the ATS US-2000FSB-A, a fully automatic Ultra-Sonic banding machine that counts, stacks and bands product simultaneously. 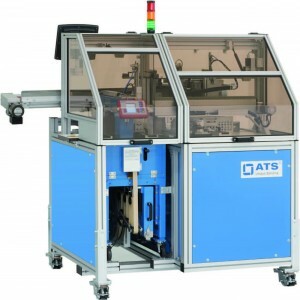 The ATS US-2000 TRS-SW (Transit Line with Shuttleworth) will also be on display, a machine that automatically stacks, centers and compresses product finally finishing the bundle with edge-protection banding. In addition, booth attendees will have the opportunity to see the Ultra-Sonic ATS US-2000 lines in both the arch and loop digital models along with automated solutions and floor model units for general use. Live demonstrations will be conducted from the booth daily showing our equipment “in action,” and our dedicated team of experts will be on hand to answer questions and discuss how banding can provide cost and labor-saving solutions to the bundling process. Wexler will also be offering an exclusive discount for any machines purchased during the show. Please visit our booth during the show for more information. For more information, please visit www.graphexpo.com. We hope to see you there!